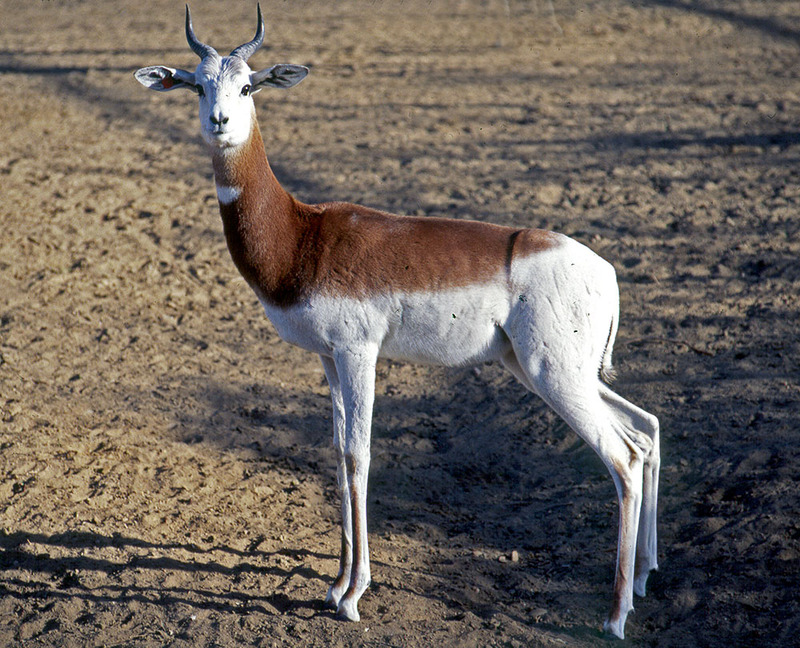 There are currently 143 known species of bovids. 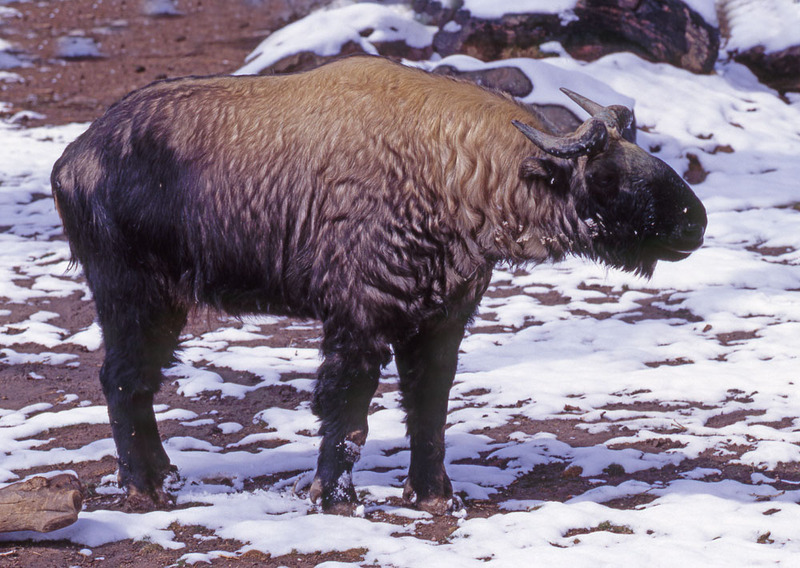 They include sheep, cattle, bison and antelope. They all share cloven hooves and a ruminant stomach. They are widely distributed and found naturally on all conitnents except Australia and Antarctica. 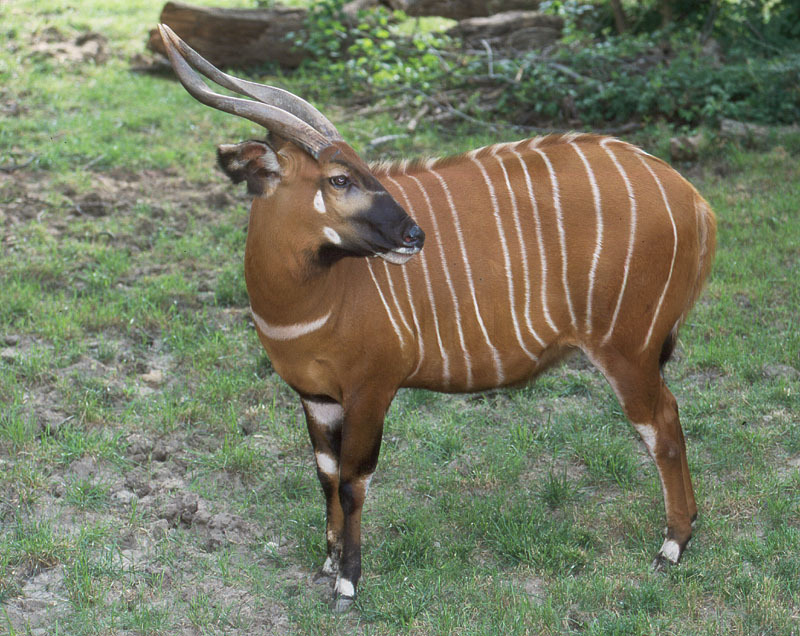 They reach their peak diversity (and probably density) in East Africa. 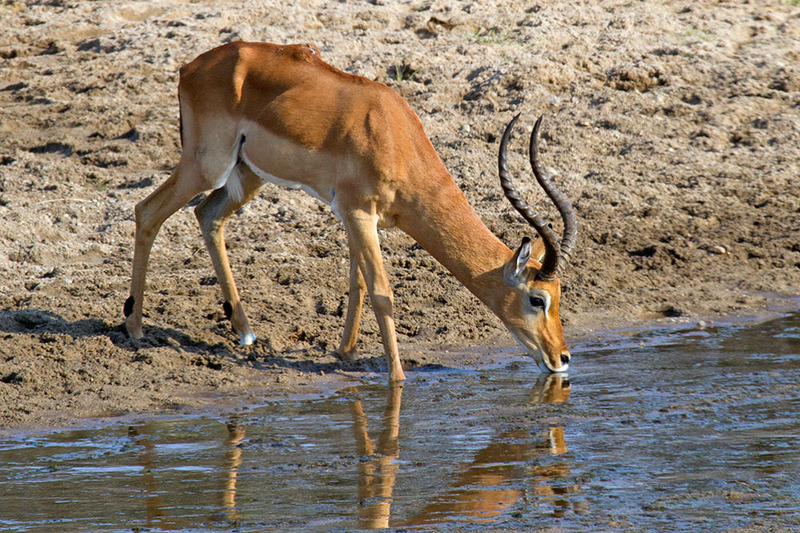 MAMM 2625 Aepyceros melampus Male impala drinking, Tarangire National Park, Tanzania. 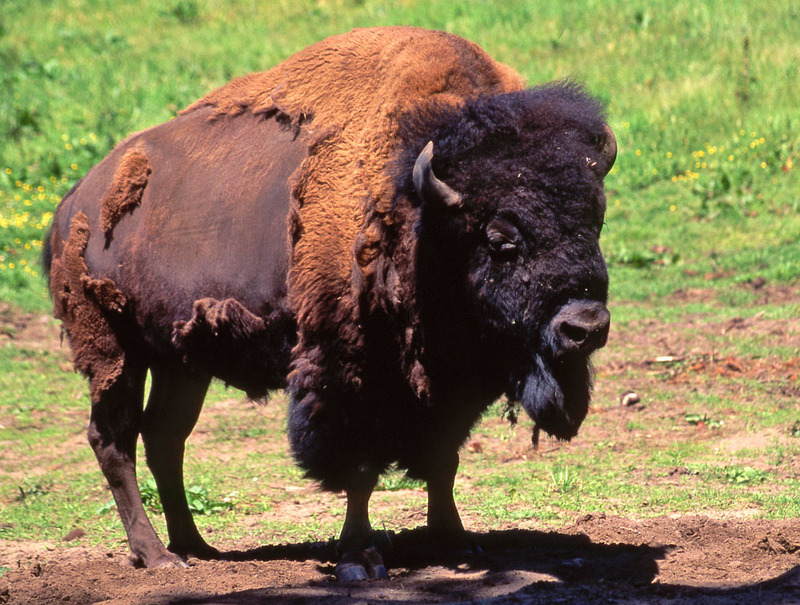 Bison bison North American bison, captive. 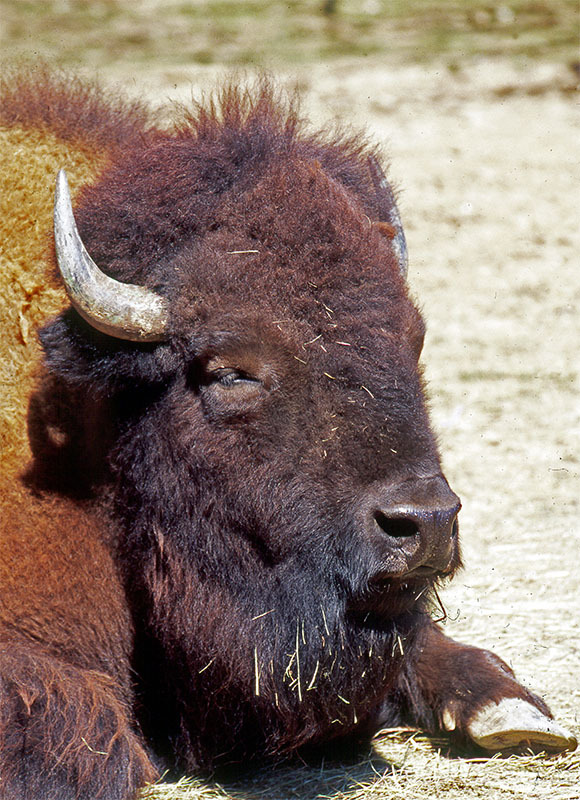 Bison bison North American bison head shot. 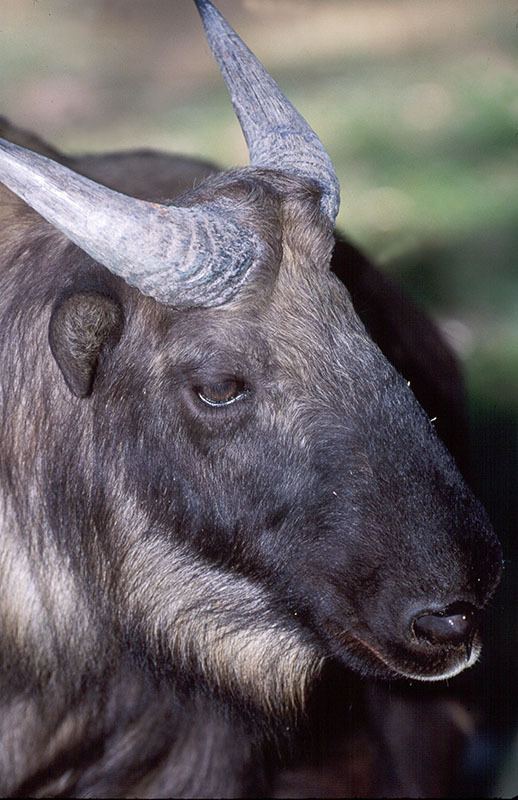 Bubalus quarlesi Mountain anoa, the smallest of the world's wild cattle (captive). 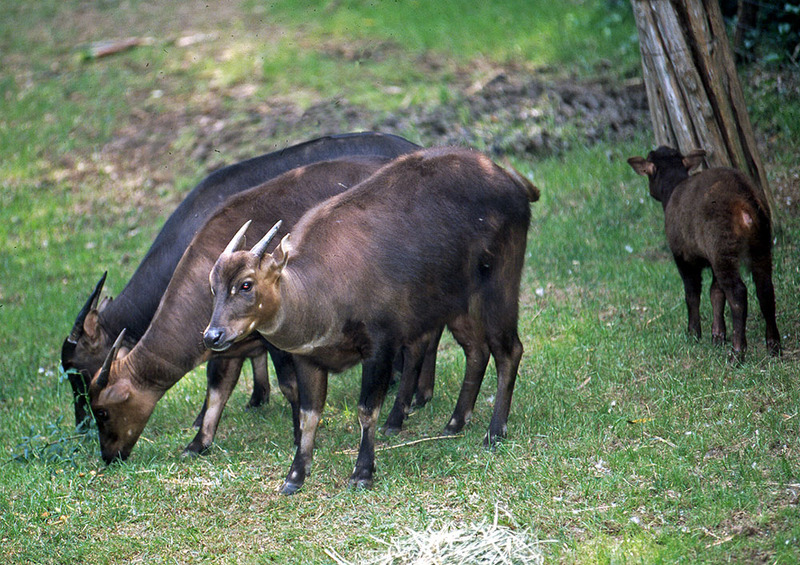 Budorcas taxicolor Takin, Denver Zoo. 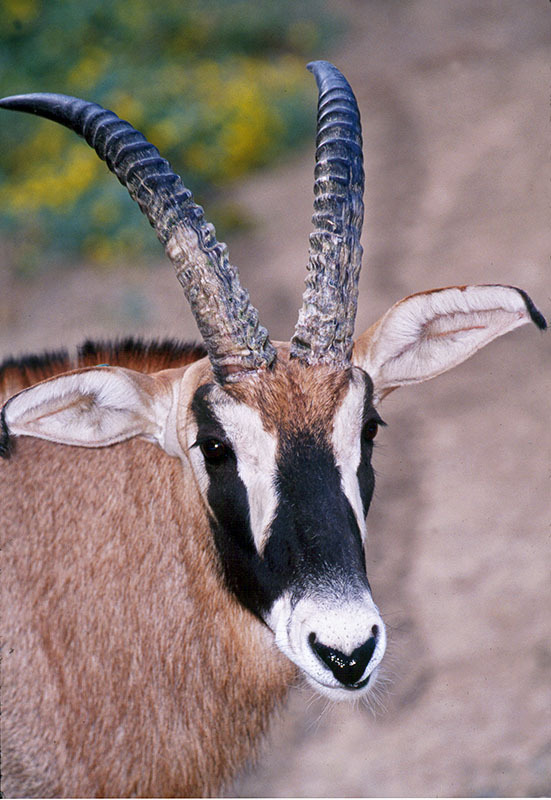 Budorcas taxicolor Takin, head shot. 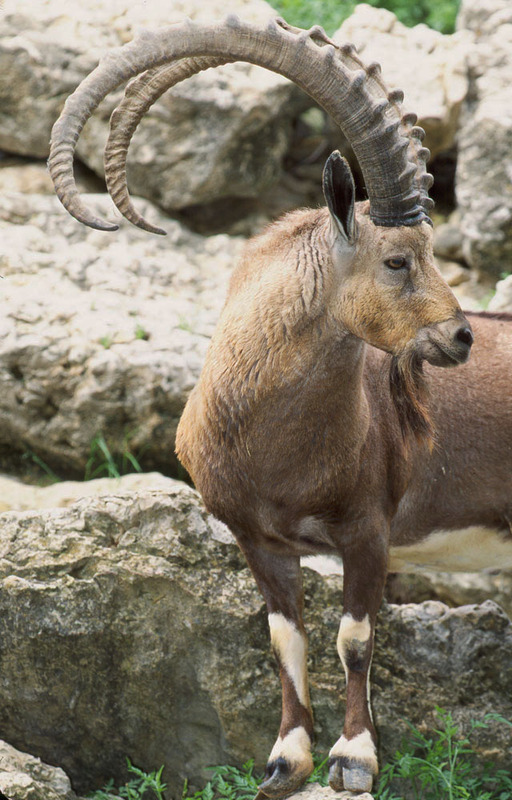 Capra ibex nubiana Nubian ibex, captive, Fort Worth Zoo. 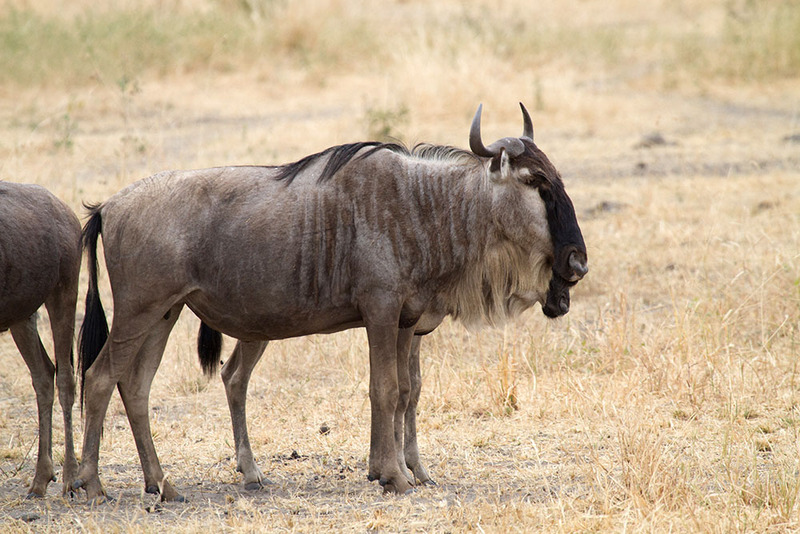 MAMM 2217 Connochaetes taurinus Common or blue wildebeest, Tarangire National Park, Tanzania. 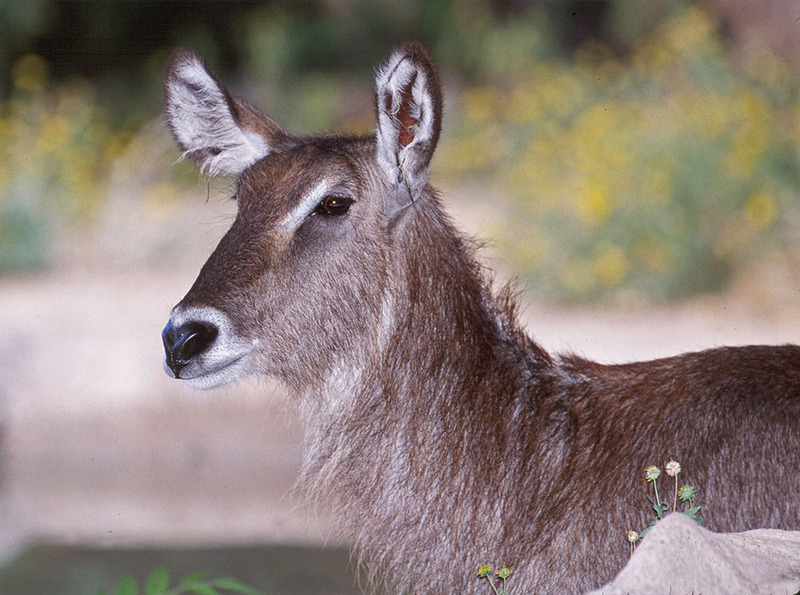 Kobus ellipsiprymnus Female waterbuck, captive. 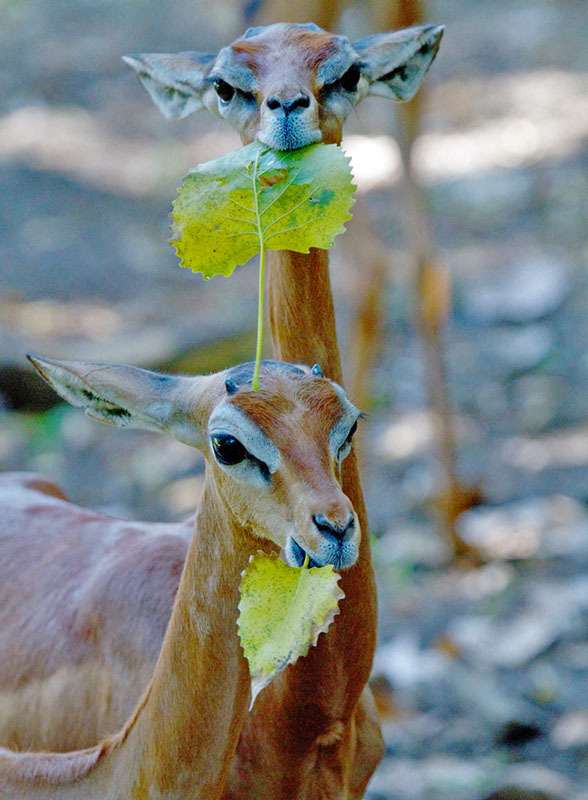 Litocranius walleri Gerenuk or Waller's gazelle, captive. 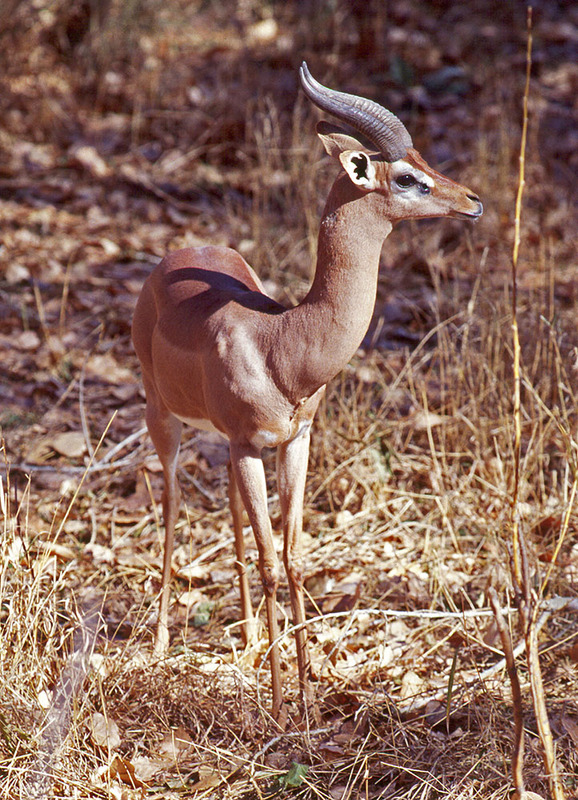 Nanger dama Addra or Dama gazelle. 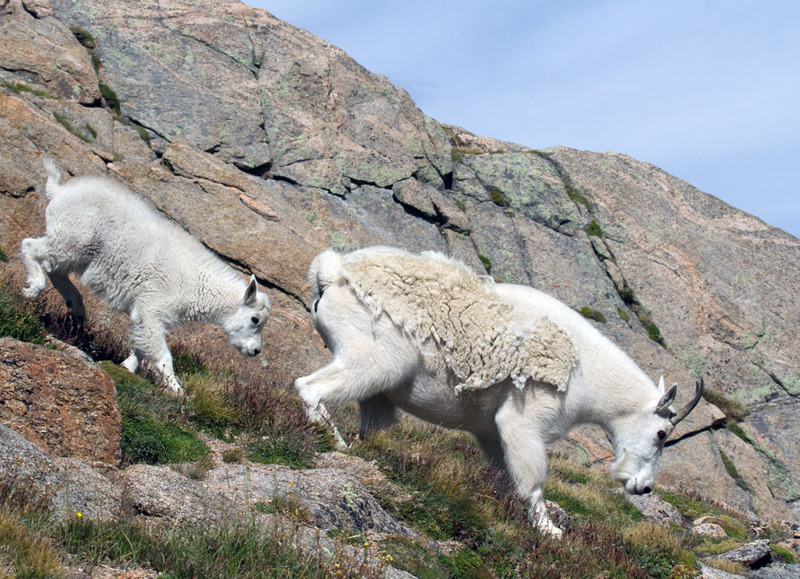 MAMM 9898 Oreamnos americanus Mountain goat, Mt Evans, Colorado. 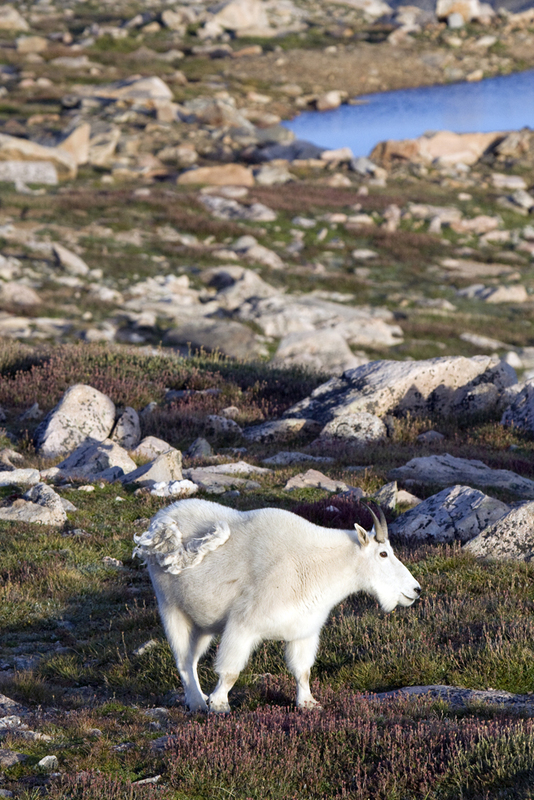 MAMM 9903 Oreamnos americanus femal mountain goat with youngster, Mt Evans, Colorado. 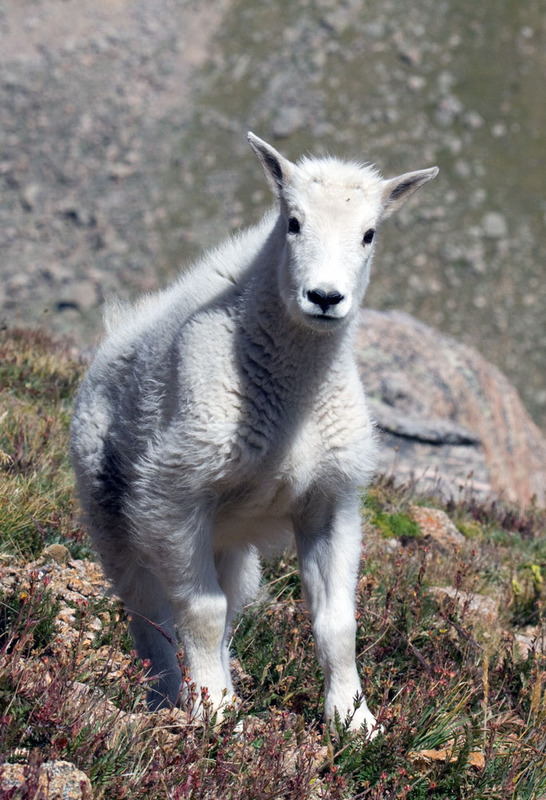 MAMM 9909 Oreamnos americanus mountain goat kid, Mt Evans, Colorado. 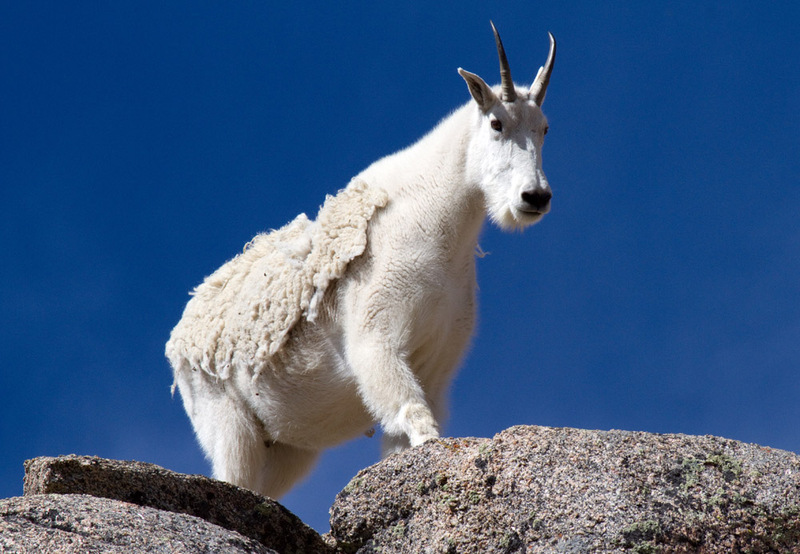 MAMM 4460 Oreamnos americanus Mountain goat, Mt Evans, Colorado. 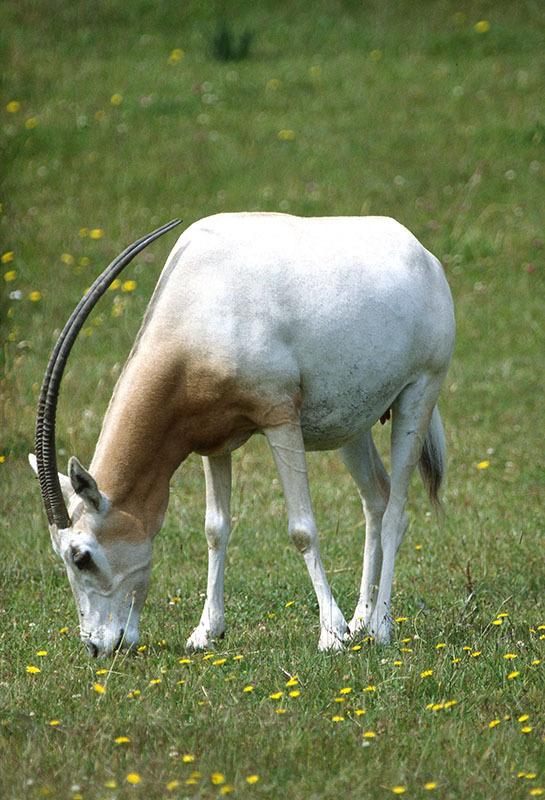 Oryx dammah Scimitar-horned orxyx, Orana Park, New Zealand. 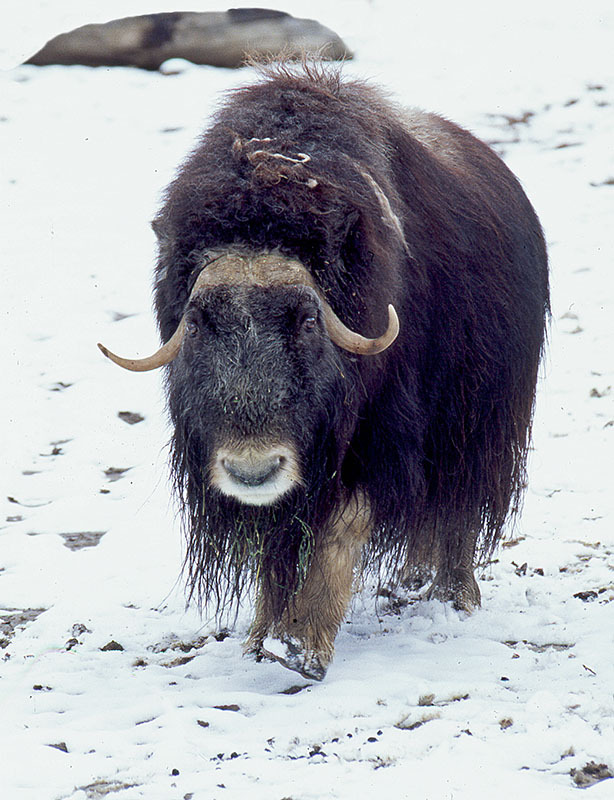 Ovibos moschatus Musk ox, captive. 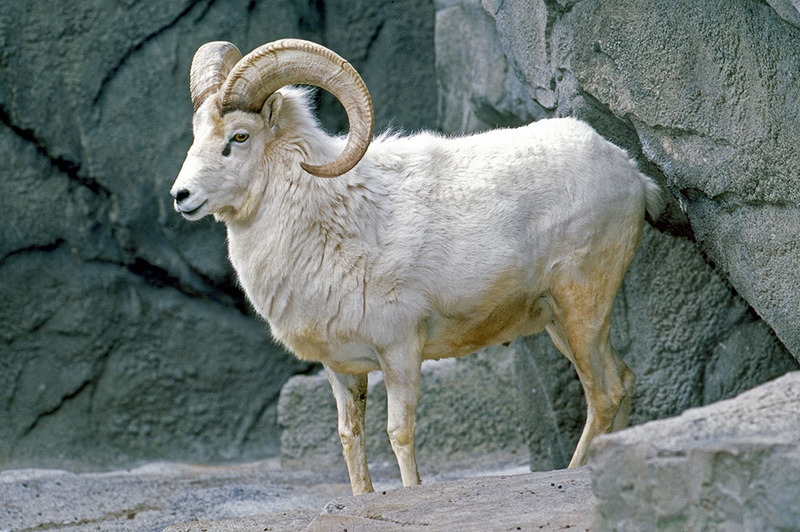 Ovis dalli Dall sheep, captive. 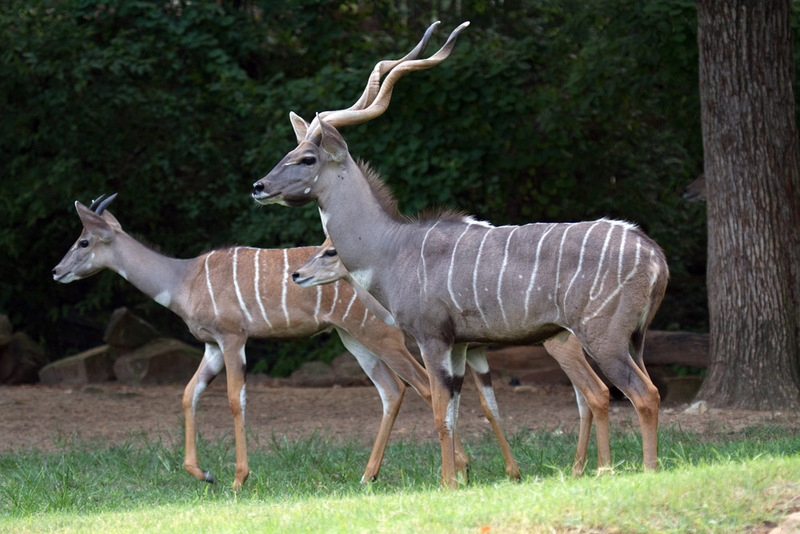 MAMM 9728 Tragelaphus imberbis Lesser kudu, captive, Fort Worth Zoo.